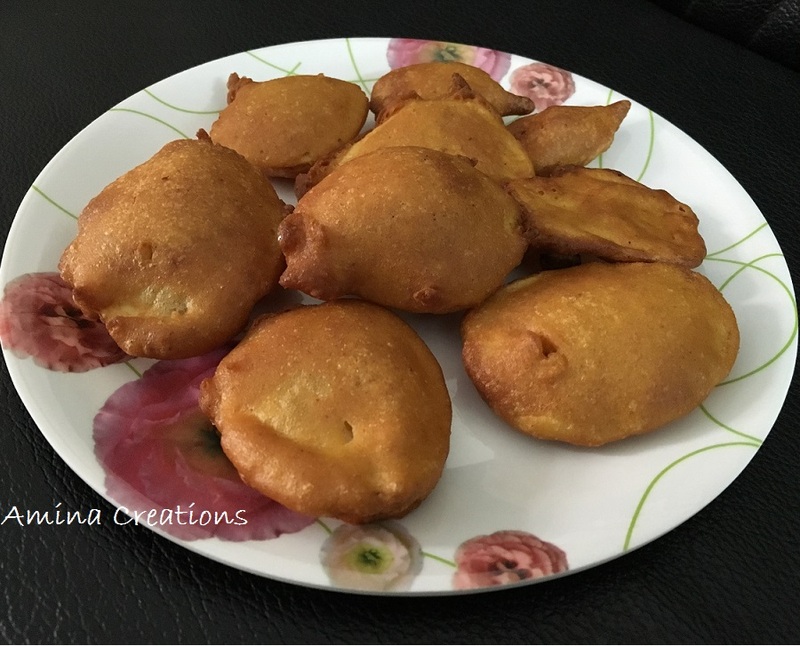 Aloo ki bajji is a quick and simple snack that can be prepared in just about 15 minutes with very few ingredients. Just cut the potatoes into thin slices, dip in batter and deep fry in oil and your tea time snack is ready to be served. Take the potatoes, peel off the skin and cut it into thin slices. Add salt to a bowl of water and soak the slices in it for 15 minutes. This is done to prevent discolouration of the potato slices. Now take a bowl, add besan, rice flour, red chilli powder, salt, asafoetida powder, cumin powder and soda. Mix well and add water little by little to form a thick batter. Check for taste and adjust the quantity of ingredients. Heat oil in a pan and when oil is hot, add a drop of batter into it. If it comes directly to the surface, then oil is ready. Now dip one slice into the batter, make sure it covers the slice completely and gently add this to the oil. Deep fry till golden brown in colour. Fry 4 or 5 fritters at a time and adjust the heat of the oil as necessary. Transfer to a tissue paper to remove excess oil and serve hot with coconut chutney or tomato sauce.